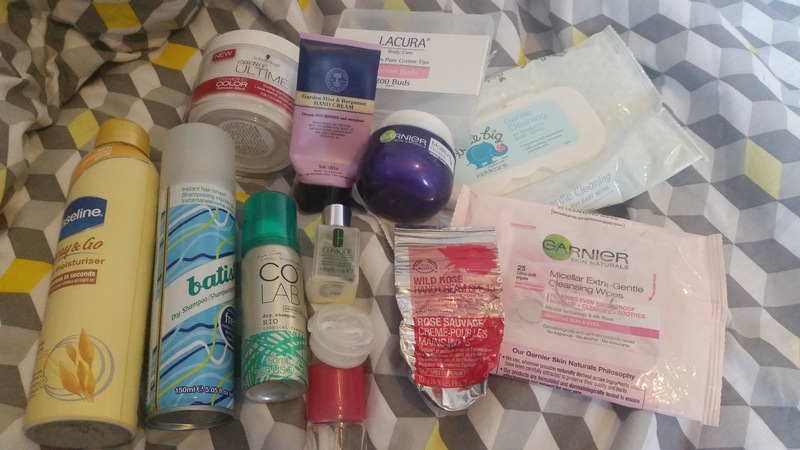 It still amazes me how many products I get through in a month and there was actually more than these as I used things up over the Weekend of Style XL and I didn't bring back the empties but those were mini L'occitaine Shampoo, Conditioner and shower gel they were all nice but nothing special I don't think. 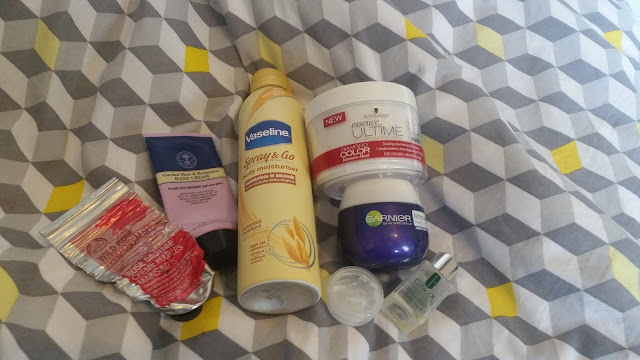 I also used three face masks and I binned my Collection Warm Medium Concealer and the Maybelline Eye Eraser as they'd both leaked and were in danger of ruining the rest of my male up bag. It's been a month of moisturising by the look of it, next month is also going to be similar as well. We've already finished another pot of the Garnier Night Gel and I'm well on my way to finishing another one. 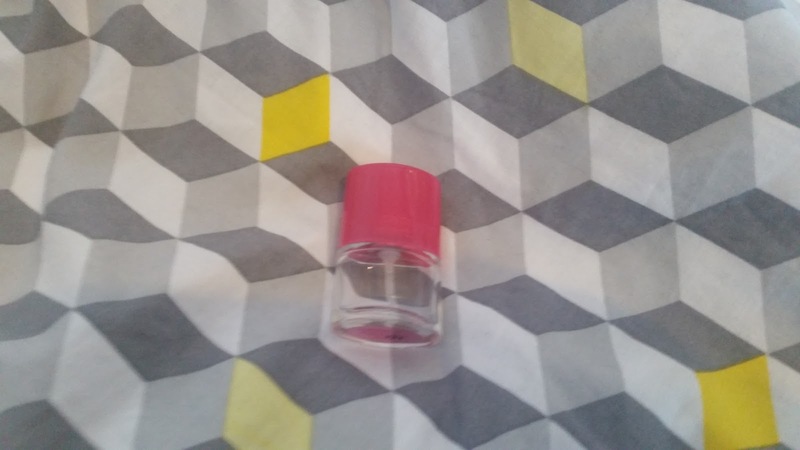 Clinique Happy Heart - I adore this scent, I'm not sure if I'm ready to commit to a full size bottle but I wouldn't be sad if I got another one of these in a Bonus Time gift, which is where this came from. Body Shop Wild Rose Hand Cream - If you have been following my adventures on Youtube you'll know I'm doing a use 8 products by Bonfire Night and this was my number 8. I haven't enjoyed this product at all until the very last couple of weeks when I decided to use this on my legs where I had graze marks from a sock / boot rub combination. The smell is very Turkish Delight, quite sweet. It isn't unpleasant, especially as I'm not a fan of Rose scents. The problem I've found with this hand cream is that it leaves a chalky film behind but also feels a bit tacky. Once those feelings have worn off my hands feel great but I feel like those are not worth the payoff. There are so many great hand creams from The Body Shop but this isn't the one for me. There is also a small sample tub of The Green Tea Body Butter. I love the smell of this range but I get bored of body butters but if you like body butters I think this would be one to check out as it smells amazing. Neal's Yard Garden Mint & Bergamot Hand Cream - I go through so much hand cream. I'm trying to only have one opened at once but as I have a decent stash of them. This one came free with a magazine a few months ago. I always think of Neal's Yard as quite posh and therefore expensive but it's around the same price as The Body Shop. I would consider buying this one again. The smell is lovely and fresh and it makes my hand feel really soft. Vaseline Spray and Go - The concept of a spray can of moisturiser works really well for me, especially since I came back of holiday and I'm a bit lazy with body moisturisers but this one didn't work for me as the spray was too concentrated and I wasn't keen on the smell. I have another one of these in the Aloe Vera and I much prefer that one and the spray is much better. I still feel these are a little expensive for how much product you get but I think as more brands are bringing them out they should start to become cheaper. Schwarzkopf Diamond Color Intensive Mask - Recently I haven't been conditioning my hair as I've not been using clear gel shampoo's and I find I don't need it but once a week or so I've been using this mask. I bought it early on in the year when I was in a real phase of using a mask in almost every wash. The smell reminds me of products they use in hair salons which is quite nice to have at home. I've been considering buying the other things in this range but I really want to use up what we have in the bathroom. Garnier Night Gel Cream - As I said at the start of this post we've since been through another pot of this product. I bought this on a whim, a half price offer and because I was curious after seeing it on a Vlog. I really enjoy using it. I haven't seen this on offer anywhere recently but the full prince is only £4. Clinique Moisturiser - This is one of those products I can never make my mind up about. 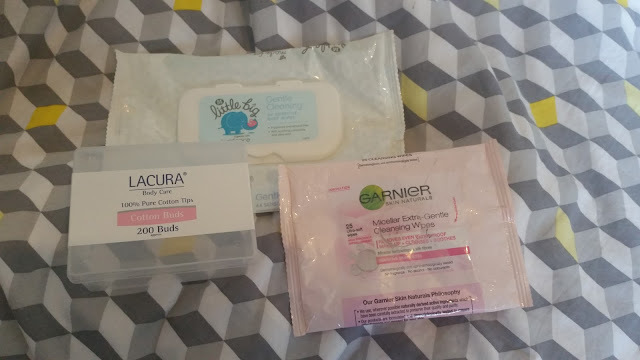 When I use it I really like it but it isn't on my must buy products and I'm in no rush to buy another one but if I end up with another sample size I will be happy. 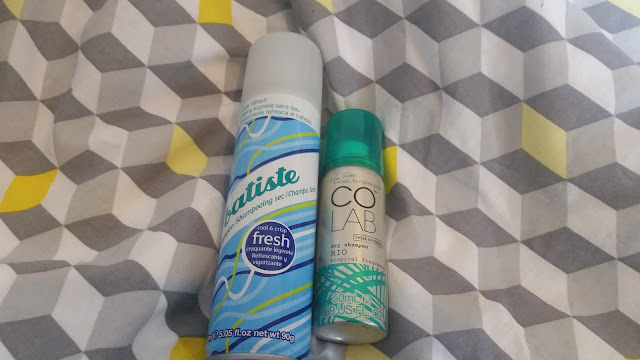 Batiste and CoLab - Neither of these worked well for me. The Batiste was too powdery and I've really gone off the CoLab products. I feel like the formula has changed but I think it might be to do with how I'm washing / conditioning my hair. Lacura Cotton Buds - These were an emergency purchase but I was pleasantly surprised. They are not as sturdy as Johnsons ones but I would buy them again. Aldi Baby Wipes - My main use of these is to clean my hands after I put make up on and they are fine for that, fairly cheap and cheerful. Garnier Miceler wipes - As wipes go they are quite decent. I use them when i'm in a rush or as a first cleanse if i've had a lot of make up on. I would buy them again.